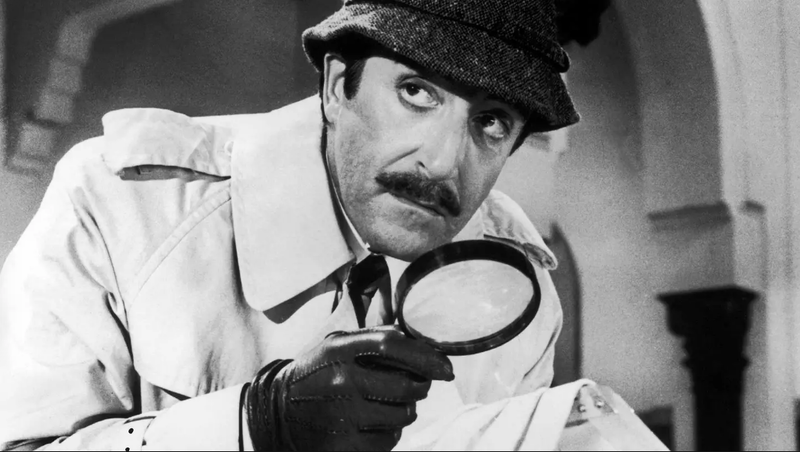 Inspector Clouseau holds the recovered Degas on the autobus, where he left it. News reports from Paris over the weekend tell of a recovered pastel painting by noted impressionist Edgar Degas (1854-2017. Looted in 2009, “the Chorus Singers, 1877,“ was uncovered by French customs agents this month during a routine luggage inspection of a bus parked in a rest area near Paris. 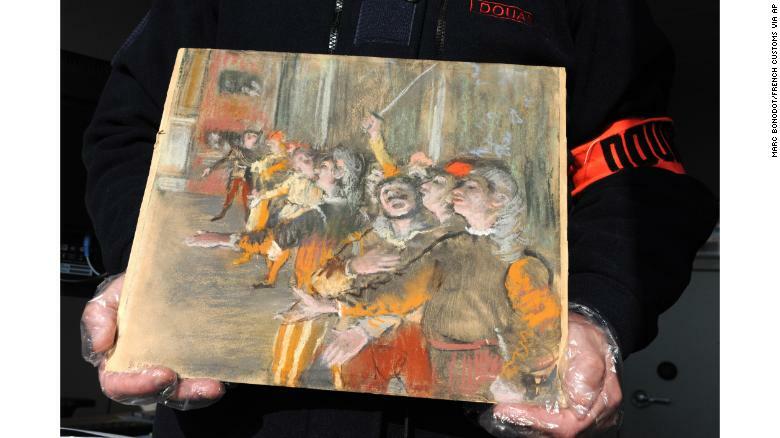 Stolen from the Musée Cantini in Marseille, the work was on loan from original owner the Musée d'Orsay, who claims the Degas is worth $1 million. So far, no one claimed the suitcase. With new found zeal, authorities are hot on the trail on the painting purloiners, but no arrests have been made. The work, a depiction of actors performing in Mozart’s opera “Don Giovanni,” is noted because it is one of the artist’s few works not to include dancers. According to one CNN report, the Musée d'Orsay tweeted that it was delighted by the discovery -- no doubt very happy to have the unframed canvas back in the fold of its extensive Degas collection especially in light that the painting will be featured in the "Degas at the Opera" exhibit that's planned for September 2019 at Musée D'Orsay. Celebrated international investigative blog --PillartoPost.org--wonders if the filched work was “perhaps” on loan from the thieves as a professional courtesy and was enroute to Paris in time to be cleaned up for the Degas Expo. Stranger things have happened, n'est-ce-pas? While on the subject, famed art has long been a popular target with thieves, who often ransom the works for big Euros. The following CNN report catches us up on a litany of lost art over the years, including the “Mona Lisa:” Click here.